Top House Progressive Says He, Others Won't OK Debt-Ceiling Benefit Cuts : It's All Politics If a deal to boost the U.S. debt ceiling is reached between President Obama and congressional GOP leaders, more than likely it will require as many House Democrats' votes as possible to pass since any pact Obama would agree to is probably incapable of drawing much if any support from the House's Tea Party Republicans.So even they're in the minority, what the House's progressives think matters. Rep. Raul Grijalva, April, 2010. If a deal to boost the U.S. debt ceiling is reached between President Obama and congressional GOP leaders, more than likely it will require as many House Democrats' votes as possible to pass since any pact Obama would agree to is probably incapable of drawing much if any support from the House's Tea Party Republicans. So even though they're in the minority, what the House's progressives think matters. The leader of the Congressional Progressive Caucus, Rep. Raul Grijalva of Arizona told NPR's Ari Shapiro in an interview scheduled to air on Friday's Morning Edition that his caucus' members won't vote for deal that makes spending cuts to the nation's most important entitlement programs. 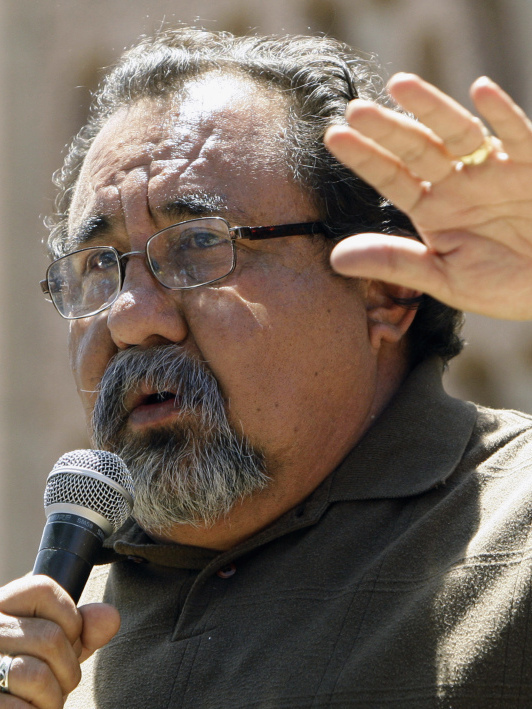 GRIJALVA: I really believe that the sentiment is strong. You have various declarations that have been made, the progressive caucus has said it directly with a number of signatures to the president saying we will not vote for anything that involves cuts to benefits, Medicare, Social Security, or Medicaid. The letter that we sent to Nancy Pelosi, to the leader essentially after she made her statement — 'We're not going to balance the budget on the backs of American seniors, women, people with disabilities' — that we agree completely with her and that we are standing behind her comments and her declaration and 61 members have signed that one. Ari asked if Grijalva thought the president was taking House progressives for granted during the negotiations. After all, House Democrats have, for the most part, fallen in line behind Obama in the past even when they've disagreed with him in order to support a president who has typically faced a united wall of opposition from Republicans. They did that on extending the Bush-era tax cuts, for instance, in December to get a deal that extended long-term jobless benefits. But Grijalva indicated that, this time, things may be different. GRIJALVA: I think you're going to see members assert their independence because Democrats – it's also an issue of our constitutents, it's also a political issue, and I think you're going to see a much more asserted independence on this party. I think the White House would make a serious mistake in assuming that the Democratic Caucus in the House is going to vote for cuts to benefits and Social Security and Medicare, I think that would be a very big mistake.